WASHINGTON, DC, May 24, 2013 (ENS) – Two days before thousands of people across the United States plan to march against Monsanto’s genetically engineered crops, the U.S. Senate Thursday turned down a measure that would have allowed states to require labels on food or beverages made with genetically modified ingredients. Sponsored by Senator Bernie Sanders, a Vermont Independent, the amendment to the Farm Bill lost by a vote of 71 to 27. Co-sponsored by Democratic Senators Mark Begich of Alaska, Michael Bennet of Colorado, Richard Blumenthal of Connecticut and Jeff Merkley of Oregon, the amendment would have made it clear that states have the authority to require the labeling of foods produced through genetic engineering. “An overwhelming majority of Americans favor GMO labeling but virtually all of the major biotech and food corporations in the country oppose it,” said Senator Sanders. “Today’s vote is a step forward on an important issue that we are going to continue to work on. 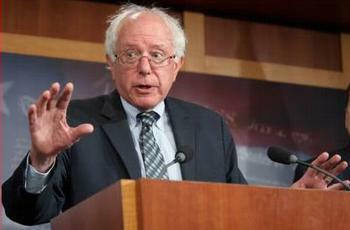 The people of Vermont and the people of America have a right to know what’s in the food that they eat,” Sanders said. 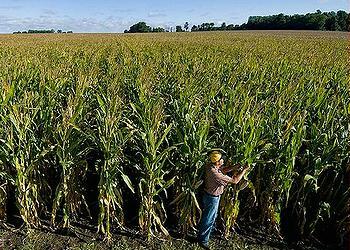 GMO labeling legislation is pending in more than a dozen states. The Vermont House on May 10 voted 99-42 for legislation calling for labeling food products that contain genetically modified organisms. Opponents raised concerns that the state could face lawsuits claiming that food labeling must be left to federal regulators. In Connecticut, the State Senate Tuesday approved a bill that would require food made with genetically modified organisms to carry labels by a vote of 35 to 1. Now the measure goes to the House where it may have a weaker chance of passage. If the bill does pass the Connecticut House and is signed into law by Governor Dannel Malloy, it would not take effect until at least three other states pass similar legislation. In the United States, Sanders said, food labels already must list more than 3,000 ingredients ranging from high-fructose corn syrup to trans-fats. But unlike 49 countries around the world, including all the countries of the European Union, the United States does not require labels identifying genetically engineered ingredients. The measure would have required the Food and Drug Administration and the U.S. Department of Agriculture to report to Congress within two years on the percentage of food and beverages in the United States that contain genetically engineered ingredients. Consumer organizations backing the Sanders amendment included the Vermont Public Interest Research Group, Rural Vermont, Center for Food Safety; Friends of the Earth, Earth Justice, Allergy Kids Foundation, Beyond Pesticides among others. The March Against Monsanto set for May 25 is not limited to the United States. In fact, more than 263,800 people in 428 cities in 38 countries have notified the grassroots organizers that they will march to send a message that they will not tolerate genetically engineered ingredients in their foods. Find them on Facebook. The protesters were shocked and motivated by a French study released last September showing that rats fed Monsanto’s genetically modified corn for their entire lives developed tumors. Researchers on the Seralini team fed rats NK603, the Monsanto variety of genetically modified corn that is grown across North America and widely fed to animals and humans as breakfast cereal, tortillas and snack chips. NK603 was developed to allow the use of glyphosate-containing herbicides, such as Monsanto’s Roundup, as a weed control option for corn crops. Seralini found that up to 50 percent of the males and 70 percent of the female rats he studied died prematurely. Study rats that drank trace amounts of the pesticide Roundup, at levels legally allowed in the water supply, had a 200 to 300 percent increase in large tumors, Seralini found. 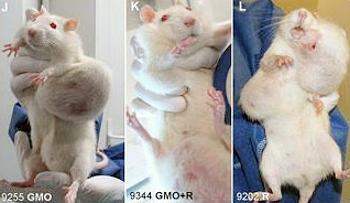 Rats fed GM corn and traces of Roundup suffered severe liver and kidney damage. However, six French academies dispute the study. The national academies of agriculture, medicine, pharmacy, sciences, technology and veterinary studies issued a joint statement condemning the findings. Their opinion was backed by two government-commissioned scientific reviews. Regardless, the March Against Monsanto has drawn participants in Paris as well as Berlin, Brussels, Cape Town, Johannesburg, Madrid, Moscow, Melbourne, Oslo, Rome, New York, Chicago and Montreal, among many other cities. Protesters will demand a ban on GMOs and protest Monsanto’s patenting rights, which allow the U.S. corporation to monopolize the global seed industry. Demonstrators in the United States will protest the “Monsanto Protection Act,” which requires the U.S. Department of Agriculture to grant a temporary permit to any farmer, upon request, to plant genetically modified crops, even if the crop is found to be potentially harmful by a court. This rider was quietly and anonymously inserted into the continuing budget resolution passed in March to avert a government shutdown. Senate Republicans Thursday refused to allow a vote on repeal of the Monsanto Protection Act proposed by Senator Merkeley.